Israeli forces shot and injured a Palestinian man in the northern Gaza Strip on Friday, witnesses said. Locals told Ma'an that Israeli forces opened fire on dozens of Palestinians who had stormed an area of the buffer zone east of Jabaliya, injuring a 19-year-old in the leg. He was taken to Kamal Adwan hospital with moderate injuries. An Israeli army spokeswoman said there was a gathering of "approximately 150 Palestinians in the northern Gaza Strip. Two approached the security fence in a prohibited area and so soldiers called on them to stop. Once they failed to comply, they fired warning shots and then fired at their lower extremities. One hit was identified." In early March, Israeli forces shot and killed 57-year-old Aminah Qudeih east of Khan Younis when she approached the separation barrier between Israel and the Gaza Strip. The woman's relatives told AP she was mentally ill, and assumed she wandered toward the border by mistake. Israeli military forces have killed over 60 Palestinians and injured 897 since the resumption of peace negotiations with Israel in July, the Palestine Liberation Organization said this week. Israeli gunboats opened heavy machinegun fire at Palestinian fishing boats off the coast of northern Gaza on Friday night. Media sources said that the intensive gunfire at Sudaniya area did not lead to any casualties. However, the fishermen were forced to abandon their boats and return to shore for their safety, the sources added. Four Palestinian fishermen were wounded at dawn Wednesday when Israeli naval boats fired at them off southern Gaza coasts. One person was injured on Friday as Israeli military forces dispersed a weekly Friday demonstration by villagers in Bilin, locals said. Dozens of Palestinian, Israeli and international activists planted olive trees near the Israeli separation wall and placed empty tear gas canisters under existing trees. Demonstrators also raised Palestinian flags and chanted songs for political unity, and in support of Palestinian prisoners. Israeli forces used pepper spray to disperse the demonstrators, injuring Wael Burnat, 34. He received medical treatment at the scene. 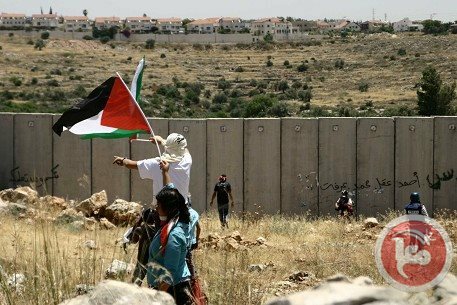 Israeli forces on Friday dispersed a protest commemorating Land Day in the Nablus village of Burin, a PA official said. Ghassan Daghlas told Ma'an that villagers had aimed to plant olives trees in Burin following the demonstration, but Israeli forces fired stun grenades and tear gas at the crowds. A number of activists suffered tear gas inhalation. The annual Land Day demonstration on March 30 marks the deaths of six Palestinian protesters at the hands of Israeli police and troops during mass protests in 1976 against plans to confiscate Arab land in Galilee. The Israeli occupation forces (IOF) on Friday morning deployed soldiers in Wadi Qana, near the town of Deir Estia in the city of Salfit. 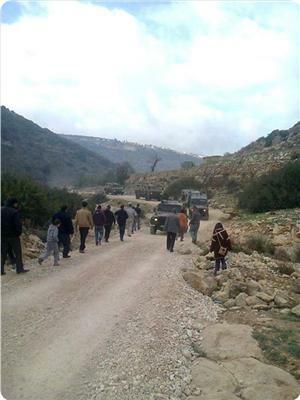 Eyewitnesses told PIC that the occupation declared the area of ​​Wadi Qana a closed military zone until the afternoon. They reported that hundreds of Jewish settlers stormed Wadi Qana, and toured the citizens' lands. The union of Palestinian fishermen strongly denounced the Israeli occupation army for fabricating lies against Gazan fishermen to justify its attacks on them at sea. Union chief Nazar Ayyash stated that the Israeli army's claims that its naval forces had opened fire at Palestinian fishermen off the coast of Rafah area as they were trying to smuggle weapons from Egypt into Gaza are untrue and cannot be believed by any reasonable man. "The occupation has pursued a new policy of dealing with Palestinian fishermen and justifying its attacks on them through fabricating unfounded accusations and using the policy of misinformation and deceiving the international public opinion," Ayyash stated. "The union of fishermen confirms that the boat was carrying two fishermen practicing their daily fishing job and seeking to provide for their families off the coast of Rafah province when they were surprised by heavy gunfire and projectile attacks by the Israeli naval forces, which led to the burning and destruction of the boast, caused their injury," the union chief explained. The Israeli occupation forces (IOF) at dawn Friday raided Burqin town in Jenin and kidnapped two young men. Local sources told the Palestinian information center (PIC) that Israeli soldiers stormed Burqin town at two o'clock in the morning and forced families to leave their homes before ransacking them. They added that the invading troops kidnapped two young men, Mahdi Asi and Mohamed Khallouf, after they assaulted their parents. During the campaign, the IOF fired stun granddads and bullets during the raids to terrorize the residents in the town. 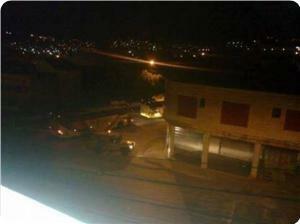 Last night, the IOF invaded Kafr Dan town in Jenin and set up a checkpoint at its entrance. Israeli occupation forces stormed on Thursday, an under-construction house and turned it into a military base in al-Yamoun village, west of Jenin. Security sources said that Israeli forces raided the Yamoun village and seized a house belonging to Fares Frehat and turned it into a military base. The forces were deployed in the village; no reports of arrest. In a related context, Israeli forces raided the village of Mithloun, south of Jenin, broke into the house of Abdul Salam Nijim, 21, and handed him a notice to meet with the Israeli intelligence agency at Salem Military Camp. Israeli soldiers invaded various Palestinian communities in the occupied West Bank, searched homes, and kidnapped four Palestinians in Bethlehem. Local sources in Bethlehem have reported that dozens of soldiers invaded the al-Fraidees village, southeast of Bethlehem, kidnapping four young Palestinian men, including two brothers. The sources said that Mahmoud Abed Ibrahim, 21, and Ahmad Khaled Tannouh, 19, were kidnapped while herding their sheep, close to the illegal Nokadim Israeli settlement. The army also invaded Doha town, west of Bethlehem, and kidnapped two brothers identified as Ahmad and Malek az-Zaghary, both aged 33. The two were at home when kidnapped; the army violently searched their property, causing excessive damage. Soldiers also invaded the al-Yamoun town, west of the northern West Bank city of Jenin, breaking into an under construction home before using its rooftop as a monitoring tower. The property belongs to resident Fares Freihat; dozens of soldiers were also deployed in different parts of the town. In related news, soldiers invaded Methalon village, south of Jenin, serving resident Abdul-Salam Najm, 21, with a military warrant ordering him to head to the Salem military base for interrogation. In Hebron, in the southern part of the West Bank, settlers of the illegitimate Ma’on settlement, east of Yatta town, invaded Palestinian farmlands, uprooted crops and fed them to their sheep. Local sources said that the attacked farmlands, of approximately 25 dunams, belong to members of the Reb’ey family. In the Gaza Strip, Israeli navy boats opened fire at Palestinian fishing boats, docked at the Gaza coast, and at a number of homes in the area, causing damage but no injuries. On Wednesday, four fishermen were injured by a shell fired from an Israeli navy boat, which also fired several rounds of live ammunition at a number of homes close to the shore. 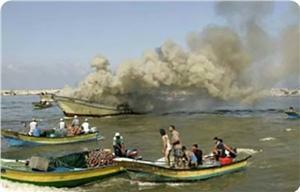 Israeli naval patrols boats fired at Palestinian fishermen boats off the coast of Gaza , the Hebrew radio confirmed the accident. 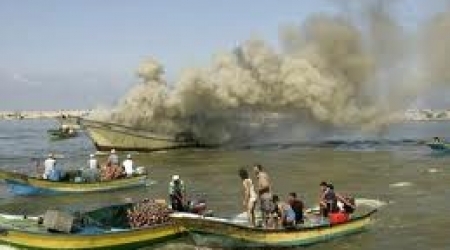 Thursday morning, the Hebrew radio said that Israeli war ship fired at Palestinian boat opposite Gaza coast last night. Israeli military sources claimed that the Israeli navy fired at the Palestinian boat while it was dragging another one outside of the permissible fishing waters off the coast of Gaza, the radio reported. Four Palestinian fishermen were injured when the Israeli navy fired at them yesterday morning in an attack against thier boats , claiming that they were involved in smuggling . Israel has maintained a naval blockade on the Gaza Strip since 2007, fishing boats are allowed to operate in a restricted area off the coast. Israeli gunboats opened heavy machinegun fire at Palestinian fishing boats off the coast of Gaza Strip at dawn Thursday with no casualties reported. Meanwhile, an Israeli army spokesman said that shooting from Gaza shores hit one of the Israeli naval gunboats on Wednesday. The spokesman said that Palestinian resistance fighters opened fire at the navy gunboats while chasing Palestinian fishing boats off the coast of southern Gaza. He said that one of the gunboats suffered damages, adding that the navy forces responded by firing at the source of fire. Palestinian sources said that four Palestinian fishermen were moderately wounded in the gunboats’ shooting at their fishing boats, adding that they were hospitalized in Rafah. The Israeli occupation forces (IOF) last night imposed tight measures restricting the movement of Palestinians and vehicles in the towns of Hawara and Beita, south of Nablus city. Eyewitnesses told the Palestinian information center (PIC) that Israeli troops were deployed on the main street in central Hawara, near Tamimi gas station, and intercepted and searched Palestinian cars. They added the soldiers caused long traffic jams that extended from central Hawara to Beita town. In another incident, scores of Israeli military units continued on Wednesday their live-fire drills for the third consecutive day in the Palestinian areas of Tawil and Ghour to the east of Akraba town in Nablus. Local sources told the PIC that sounds of explosions and extensive gunfire were heard during the last three days in Akraba town. They added that the IOF also stormed Akraba town and the neighboring village of Osarin and closed commercial stores during the drills. They affirmed that these drills, which would continue overnight, caused a large-scale panic among the Palestinians in Akraba town and its nearby areas. A Jewish settlers in a speeding car ran over a Palestinian woman from Taku village, east of Bethlehem, on Wednesday night. Mohammed Awad, the director of the Palestinian Red Crescent’s ambulance and emergency department in Bethlehem, told Wafa news agency that the settler ran over Samih Ayoub, 55, at the western entrance to the village. Awad said that the woman, who suffered fractures and bruises, was transferred to Beit Jala government hospital, adding that her condition was “moderate”. Israeli forces on Wednesday prevented Palestinian human rights organizations in Jerusalem from holding a conference in opposition to Arab enlistment in the Israeli military, organizers said. Israeli special forces and police reportedly stormed the headquarters of the Yabous Cultural Center immediately prior to the beginning of the conference and shut down the building until the evening. Organizers said that the police hung a notice signed by the chief of police banning the proceedings from moving forward because the conference was organized by activists associated with the Popular Front for the Liberation of Palestine, which Israeli authorities consider a terrorist organization. Jerusalem Legal Aid and Human Rights Center director Rami Saleh denied the allegations, noting that the conference was organized by JLAC, St. Yves, Kanaan Project, and in cooperation with the Baladna organization's Haifa branch. Saleh said the conference aims to raise awareness in the Arab community of Jerusalem about "civil service," a form of service in the Israeli army that the Israeli state has increasingly enjoined Arab youth to enlist in. The conference was intended to encourage opposition to "civil service" and all kinds of military service in the Israeli army, which is not mandatory for Muslim and Christian Palestinians in Israel, unlike for Druze and Jewish Israelis. Dozens of Jerusalem youths aged 18-21 had joined the program, Saleh said. Yabous institute director Rania Elias condemned the closure of the institute from 2-8 p.m, adding that the institute will continue to provide service and organize events for Palestinian organizations. An Israeli police spokesperson could not be reached for comment. 4 Kidnapped in West Bank, Teen Placed Under "House Arrest"
Israeli forces abducted four people on Wednesday, including a Fatah official, from the districts of Jenin and Bethlehem, according to reports by media and security sources. Forces stormed the town of Ya'bad, to the southwest of Jenin, from which they took three people aged between 18 and 19 years, after breaking into their homes and conducting violent searches, said a report by WAFA. Meanwhile, a large number of Israeli troops stormed Aida camp, in Bethlehem, taking with them Fatah Secretary-General, Mohammad Al-Azraq, age 28, after breaking into and searching his house. The Israeli police placed a teen under house arrest in Jerusalem, as a condition for releasing him on bail pending ‘the completion of legal proceedings’ against him, Wadi Hilweh Information Center said in a press release. The child had been taken into custody a month and a half ago, undergoing harsh interrogation techniques, on charges of throwing Molotov cocktails in the area. Meanwhile, police stationed in Al-Qashleh interrogation center served a 35-year-old guard of Al-Aqsa Mosque compound with an order prohibiting him from entering the mosque for ten days, pending an appearance before the chief of Jerusalem district Israeli police, on charges of assaulting an officer. The guard stated that it was he who had been assaulted by police, and that he sustained wounds when Moshe Feiglin stormed the mosque. Palestinian medical sources have reported that four fishermen were wounded after Israeli navy boats opened fire on their fishing boats near the Rafah shore, in the southern part of the Gaza Strip. The army also fired rounds of live ammunition at a number of homes. The Palestinian News & Info Agency (WAFA) has reported that navy boats also fired a shell, and that several homes and boats were hit by army fire, causing excessive property damage and four injuries. Medical sources said the four wounded Palestinians were moved to the Abu Yousef an-Najjar Hospital in Rafah suffering moderate injuries. The Israeli Navy frequently attacks Palestinian fishermen and their boats in Palestinian territorial waters, and even while their boats are docked at the shore. Thousands of Palestinian families in Gaza depend on fishing as their only source of livelihood, and risk their lives just to be able to fish and support their families. 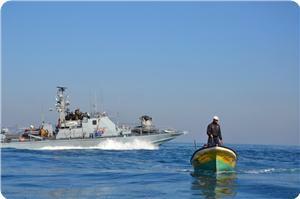 Last week, Israeli navy boats carried out at least four attacks against Palestinian fishermen in Gaza waters. As part of the ceasefire agreement of November 2012, Israel agreed to allow the Palestinians to fish within six nautical miles, but unilaterally decreased the allotted area to three miles. Last May, Israel decided to allow the fishermen to fish within six nautical miles, but the Navy continued to attack them even within the three nautical miles. Under the Oslo accords of the mid-nineties, the Palestinians are supposed to be allowed to fish in 20 nautical miles off the Gaza shore, but Tel Aviv has constantly violated the agreement. Two Palestinian fishermen were wounded off the coast of Rafah, south of the Gaza Strip, in Israeli navy shooting at dawn Wednesday. Eyewitnesses told Safa news agency that Israeli gunboats opened heavy machinegun fire and projectiles at the fishing boats and at Sudaniya coast cutting off power in the area. They said that the shooting started fire in a number of fishing boats, adding that firefighters and ambulance crews rushed to the scene to evacuate the casualties and to put off the fire. The eyewitnesses said that marine policemen found the two injured fishermen one hour after the shooting stopped. 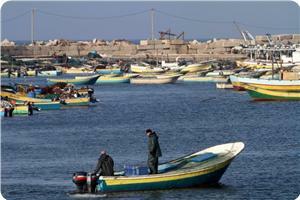 Palestinian fishing boats are daily subjected to shooting and harassment on the part of Israeli navy gunboats. The Israeli occupation forces (IOF) began on Tuesday morning large-scale military trainings in Khirbet Abzik, in the Northern Jordan Valley, after expelling its residents from their homes. 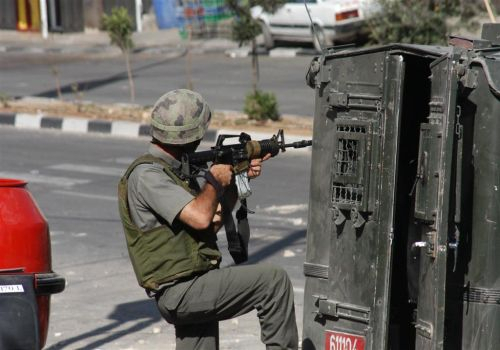 Locals told PIC's correspondent that the IOF stormed the hamlet on Monday and announced it a closed military zone. The soldiers informed the inhabitants that they must leave the area in the morning and that they are prohibited to return to their homes until the evening. 18 families from Khirbet Abzik, including about 150 women and children, have been forced to stay out in the cold, since this morning, under the crossfire of the Israeli soldiers. Khirbet Abzik has an area of 8,000 dunums, including 5,000 dunums that were classified as closed military zones by the occupation army. The apartheid wall has also isolated approximately 1,000 dunums in the hamlet, and Gilboa settlement has been expanding at the expense of its lands. Aref Daraghmeh, head of Wadi al-Maleh village council in the northern Jordan Valley, told PIC's reporter that the military drills have become a means to displace the population of the Jordan Valley. Israeli military vehicles crossed into al-Sanaty area, east of Khan younis on Tuesday while Israeli drones hovered intensively over the area. 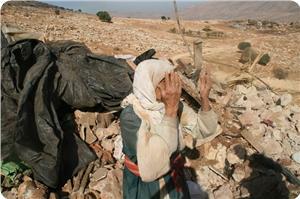 Six Israeli bulldozers started razing agricultural lands near the eastern borders. Four Israeli tanks were behind the border fence covering the razing. The vehicles fired smoke bombs , drones and war jets flew over the area from time to time. In Gaza city, a number of Israeli vehicles deployed at the gate of Nahal Oz site while a bulldozer carried out restoration and maintenance actions for the site. Witnessed an intensive and unprecedented flying of Israeli drones at different heights , amid security warnings . Palestinian security sources said that Gaza strip has witnessed since yesterday evening unprecedented flying of Israeli drones over the airspace of Gaza, noting that they can be heard and seen clearly ." The sources pointed out that all the provinces of the strip witness intensive flying, noting that the flying is focused over western and eastern areas of most provinces . The sources explained that the Gaza provinces of Khan Younis and Rafah have witnessed intensive flying of drones more than others provinces . 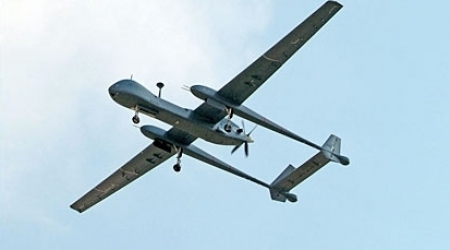 The drones intensified its flying over the ex-settlements in the western areas of Gaza , the camps , and the eastern Townships of Gaza Khuza'a , Absan , Bani Suhaila , al Qarara , the village of Um al-Nasser , al Shawka and al Fokhary . Israeli F16 jets carried out mock raids over the airspace of Gaza from time to time , as well as the Israeli helicopters fly over the eastern border line. Witnesses said that loud sounds were heard as Israeli fighter jets roared low over Gaza, causing panic among residents. Palestinian security services warned the civilians to exercise extreme caution. Three Israelis attempted to set fire to a gift shop owned by a Palestinian man in Jerusalem late Monday, an Israeli police spokeswoman said. Luba al-Samri said in a statement that the suspects also vandalized the shop -- located on Jaffa Street in West Jerusalem -- posting slogans reading "Kahane was right," before fleeing the scene. She said police were investigating the incident. 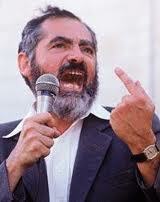 Meir Kahane was an American-born Israeli rabbi and political figure who advocated expelling all Arabs from Israel and the occupied Palestinian territories. Six Palestinian young men were kidnapped and another suffered a bullet injury after Israeli special forces raided last night Aida refugee camp, north of Bethlehem. Eyewitnesses reported that a special unit escorted by Israeli soldiers stormed the camp and kidnapped the young men after engaging in clashes with them. They noted that an Israel soldier was wounded when a young man threw an explosive device at the invading troops during the events. 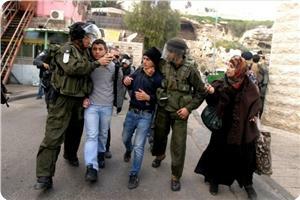 Some of the detainees were identified as Mutassim Al-Suraifi, 18, Mohamed Al-Debs, 16, and Muatasim Abu Khudair, 24. The invading soldiers invaded the rooftops of some tall houses in the camp and turned them into military posts. 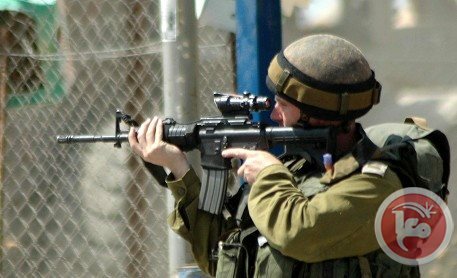 Four Palestinians, including two women, suffered yesterday bullet injuries during escalating violent confrontations, which started four days ago, with the Israeli occupation forces (IOF) in the camp. Eyewitnesses also told the Palestinian information center (PIC) that Israeli troops stormed Al-Salam street in Al-Khalil before embarking on taking photos of the homes near Al-Ansar Mosque and intercepting passing cars. They added that Israeli soldiers chased a journalist after he took photos of them during their raid on Al-Salam street. 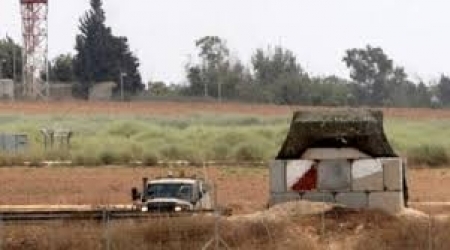 Israeli occupation forces (IOF) fired an artillery shell at northern Gaza Strip afternoon Monday but no casualties were reported. 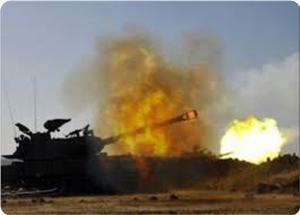 Eyewitnesses said that the shell exploded in a cultivated land lot to the north west of Beit Lahia, north of the Strip. They said that ambulance cars rushed to the area but did not find any casualties. Meanwhile, Israeli warplanes launched mock raids on all areas of the besieged Strip on Monday night. Security sources told the PIC reporter that the sounds of explosions heard all over the enclave were the result of Israeli mock raids.